Where are the statues of Edinburgh's famous women? Edinburgh’s dramatic skyline is one of the most spectacular of any city in the world – for visitors emerging from Waverley station, it is dominated on one side by the Castle perched atop its famous rock, and on the other by the 60m-high Gothic spire of one of the Scottish capital’s great public memorials. The Scott Monument, built in 1846 to celebrate the life of Sir Walter Scott, is the largest monument to a writer anywhere in the world. 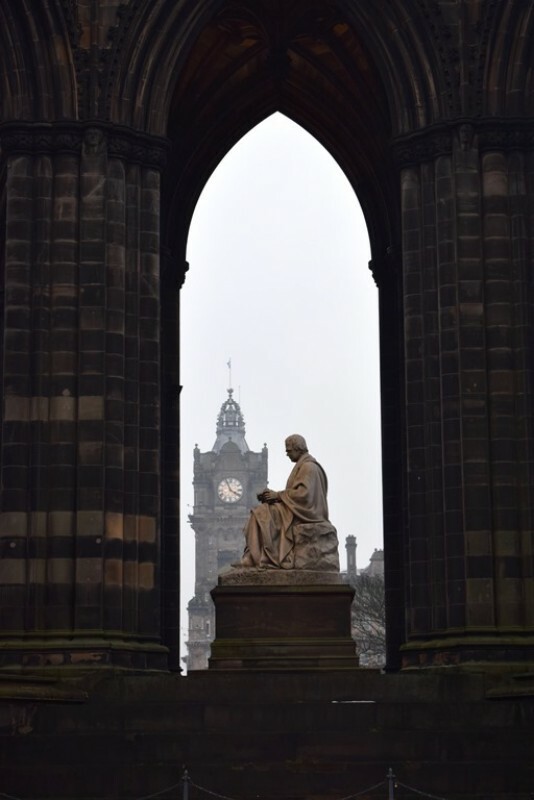 At the base of the tower, the grand seated figure of Scott carved from Carrara marble casts a watchful eye over Princes Street – one of several public statues by the Scottish sculptor Sir John Steell commemorating the city’s famous sons. 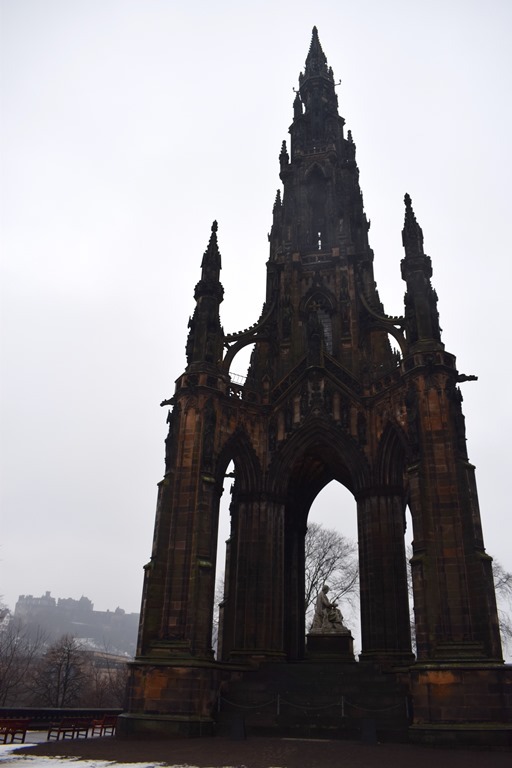 The spire is a grand and unapologetic display of the high regard in which Edinburgh holds its cultural heritage and the astonishing achievements of people from the city. 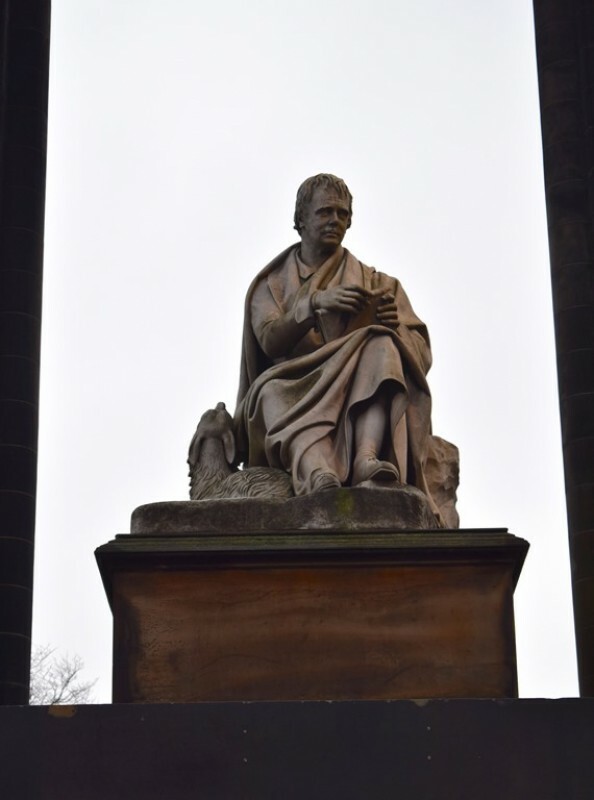 From literary legends to architects, economists, philosophers, Enlightenment figures and scientists, it’s impossible to walk far in the city without stumbling across a statue commemorating a man from Edinburgh whose life and work have had a major impact. But what about the many women who have left a similar legacy? Edinburgh currently has only two public outdoor statues of named women, and neither is in the city centre: there is a bronze sculpture of Queen Victoria in Leith, and a sculpture of Helen Crummy, a social activist, in Craigmillar on the outskirts of the city. So why are there no sculptures of our city’s most influential women? Where, for example, are Sophia Jex-Blake and the Edinburgh Seven – the medical students who were the first women in the UK enrolled on a degree course, and who battled threats and angry street mobs to sit their exams? Their campaign put the rights of women to a university education on the political agenda, ultimately leading to a change in the law enabling women to qualify as doctors. 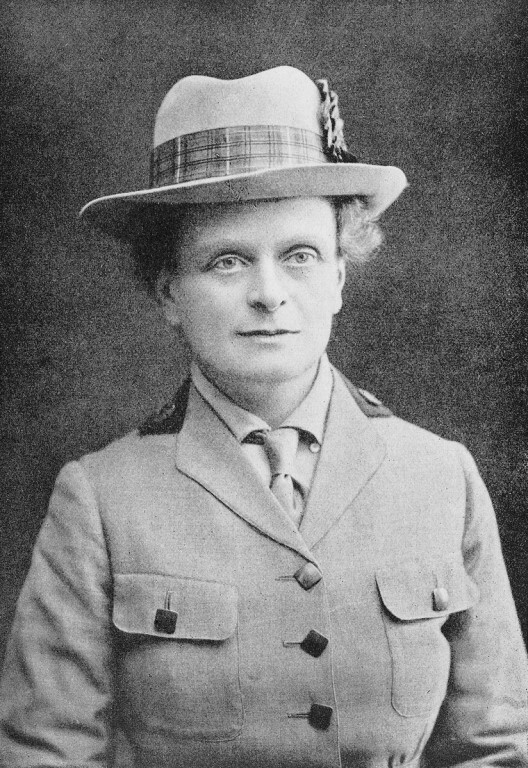 Or where is Elsie Inglis, the pioneering doctor and suffragist who, during the First World War, offered to serve in frontline hospitals, but was told by the War Office to 'go home and sit still'? Undeterred, Dr Inglis founded the Scottish Women’s Hospitals, which ran 14 frontline facilities across Europe, staffed entirely by women who worked in the middle of some of the most dangerous and brutal campaigns of the war. Or, as the first Unesco City of Literature, what about the city’s famous female literary figures? Such as Dame Muriel Spark, who is probably best known as the author of The Prime of Miss Jean Brodie, but is widely considered to be one of Britain’s greatest writers? There are currently more public statues of named animals in Edinburgh than women. 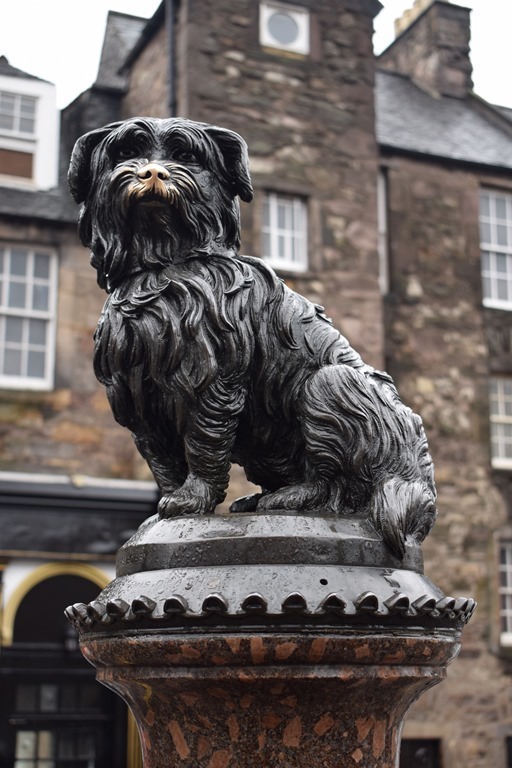 The statue of Greyfriars Bobby, the loyal Skye terrier who famously mourned at his master’s grave for 14 years, is one of the biggest tourist attractions in the city – even though it has been claimed that the story was a hoax. 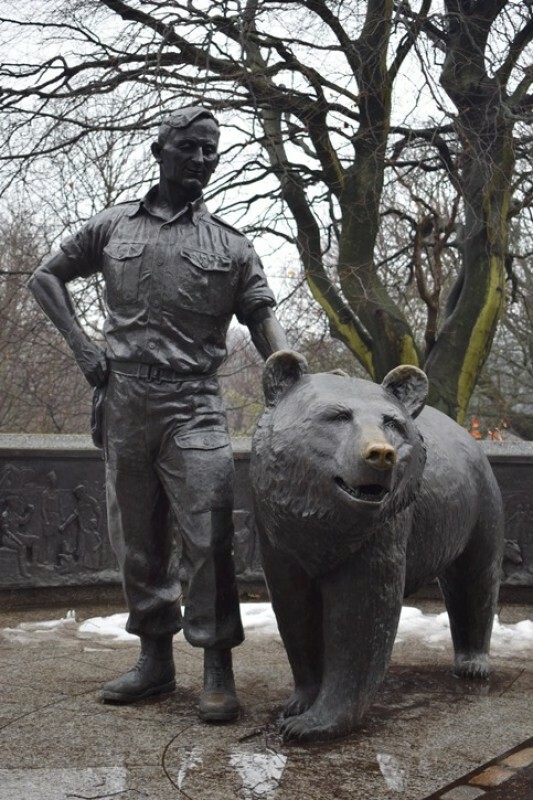 Along with Wojtek the Bear and the unusually-named Bum the Dog, Bobby completes a trio of statues to named animals in Edinburgh that outnumbers those to the city’s women (four named animals if you include Scott's dog, Maida, who is included in his monument). Edinburgh isn’t the only city with a lack of public sculptures of women, and several campaigns are underway to install more, prompted partly by the centenary this year of some women gaining the right to vote. Today, a statue of Mary Barbour, the political activist, is being unveiled in Govan, Glasgow. 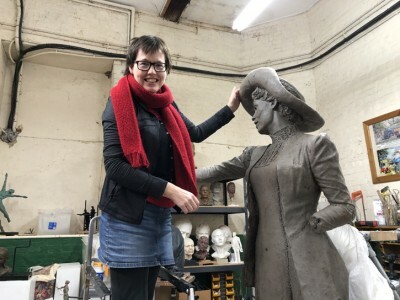 In April a statue by Gillian Wearing of suffragist leader Millicent Fawcett will become the first to a woman in Parliament Square in London, while a statue by Hazel Reeves of suffragette leader Emmeline Pankhurst is due to be unveiled in Manchester in December. Today, on International Women’s Day 2018, which women would you like to see a statue of?